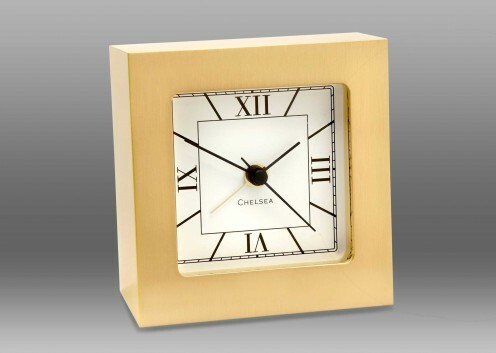 Wake up to the sight and sound of an exceptional Chelsea timepiece. 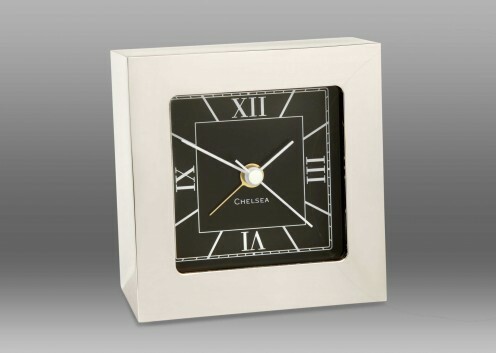 Our Square Desk Alarm is ideal for the bedroom or the office, with handsome, sleek styling that complements any décor. Crafted from forged, nickel-plated solid brass, the clock features a precision German quartz movement that includes an easy-to-set alarm function. A striking black dial with classic Roman numerals complete this unique timepiece. The Square desk alarm clock is also available in Brass.